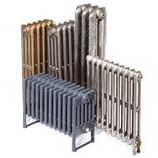 Solid fin cast iron radiators are also known in the UK as old school cast iron radiators beacuse of their popularity in public buildings - especially educational buildings. 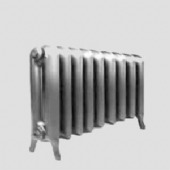 The Princess was the first solid fin cast iron radiator designed in North America for larger buildings. Solid Fin cast iron radiators were relatively straight forward to cast with large central sand cores and featured elegant straight lines. 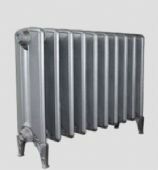 Old School Radiators are the definitive cast iron radiator design and have simply never gone out of fashion.